After watching this documentary, it won’t be hard to picture Olympic sports turning into an organization like the WWE. One of entertainment, not reality. But, will the downfall of international sports be that of systematic criminal activity? Could one of the largest countries in the world be responsible for the downturn of public faith in fair play? Unless you have been living under a rock since 2013, you may have heard of Eric Snowden, the ex-NSA analyst who leaked classified information about US domestic spying operations. This marked one of the largest and well known whistleblowing events in a generation. But, could there have been such an event of the same international proportions in 2016? Cue Grigory Rodchenkov. I’ll give kudos to anyone who has heard of his name before watching this documentary. However, he is the man responsible for the unveiling of Russia’s state-sponsored doping program. He was also the man who facilitated it while head of Russia’s World Anti-Doping Agency (WADA) laboratory. Before you read any further, there is only two words that you need to take away from this review…watch it! Not sure if this was more of a political documentary or a drug documentary, but a thriller none-the-less! Ever since Netflix has gotten into the content game, they certainly are giving HBO a run for their money. In fact, I’ll be shocked if this story doesn’t turn into a movie in the coming years. Imagine a criminal ploy so large that to expose the truth many lives will be in jeopardy, including your own and those of your family. Then, as a cherry on top, the foundations of the sports world will be rocked, a country ejected from the Olympics, and the story of a man on the run told. The progression of the documentary kept you hooked. 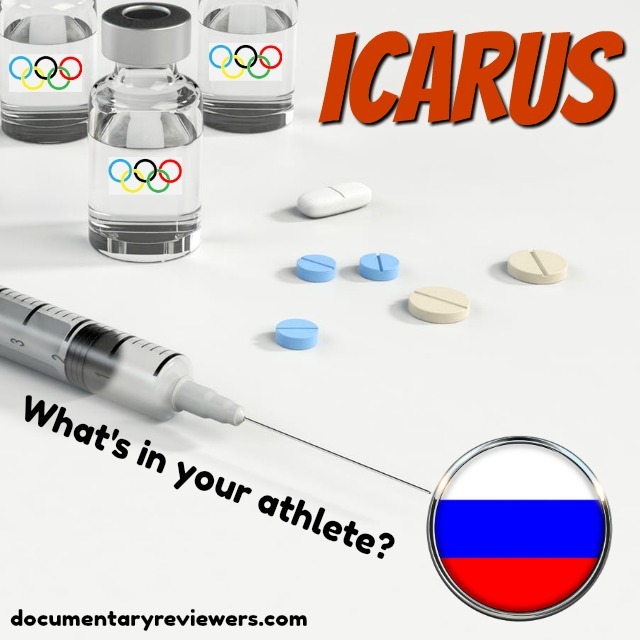 Bryan Fogel, director and filmmaker, initially set out to uncover how pervasive and how easy it is for amateur athletes to get around drug tests. He used himself as a guinea pig in the doping experiments for cycling races. As the documentary goes on, so do the stakes. After several anti-doping advisors drop out do to reputation concerns, Bryan was introduced to Grigory Rodchenkov. As Grigory guides Bryan through a doping regimen from Russia, WADA starts sniffing around Grigory’s operations and lab. Thi is when the drug documentary turns into a geopolitical one. As questions start to arise into Grigory’s interest in Bryan the walls start to close in around Grigory. It’s not long when a choice needs to be made. No one could prepare for the story Grigory was able to tell. 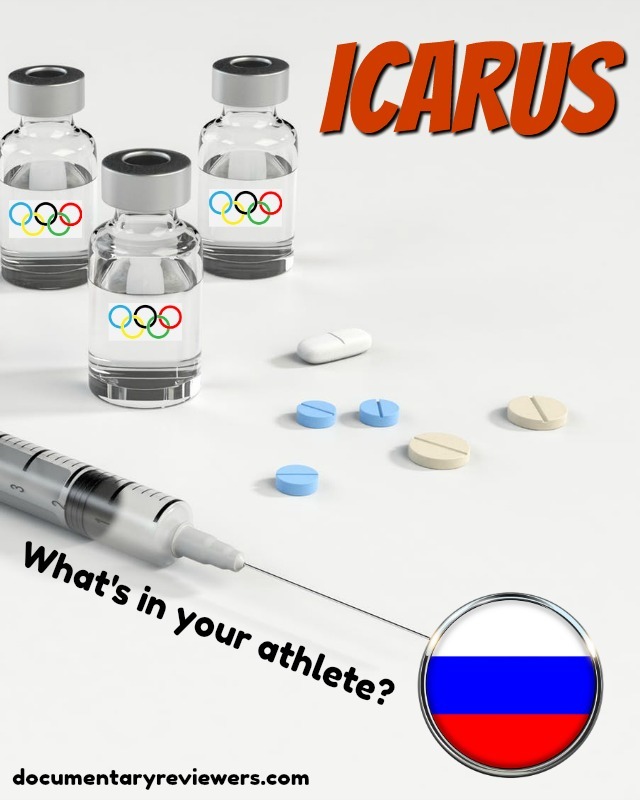 Heading Russia’s WADA-accredited lab and the mastermind behind a state-sponsored doping program, he pulled the string that unraveled a chain of events that led to defection, criminal investigations, ejections of Russian athletes from the Olympic games, and murder. As a full length feature, just shy of 2 hours, you would barely know it. It captures attention the entire time and progresses like a thriller. Netflix has marketed Icarus heavily when it was released, and for good reason. It is good! This documentary needs to go on the list of documentaries to watch. If you haven’t already, print out our documentary list and write this in the number 1 spot.